I’ve been using this Pro Vest X-V for the past three months and it’s relegated my old back protector to the cupboard now. I never ride without a back protector, and this protective vest has relegated my back protector to the cupboard. 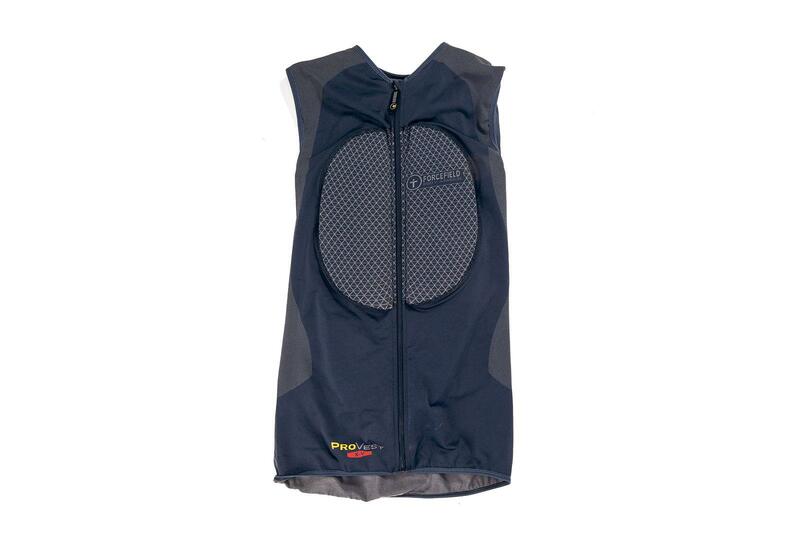 The vest is made from Forcefield’s X-Vent material, which means it’s breathable in warm conditions and doubles as a base layer. It’s stretchy, too, which means it’s a snug fit, so the back and chest armour never moves about. The back protector is approved to CE level two. Forcefield don’t state whether the chest pad is certified, but it feels substantial without being overly bulky. The vest fits well and never gets in the way or rides up. The whole thing is machine washable. The zip sometimes comes apart at the bottom after I’ve zipped it up, but it doesn’t happen often and undoing the zip and doing it again sorts it.